My skies have been pretty grey this week... the ordinary things of everyday life woven through with the process of grieving for a much loved pet. 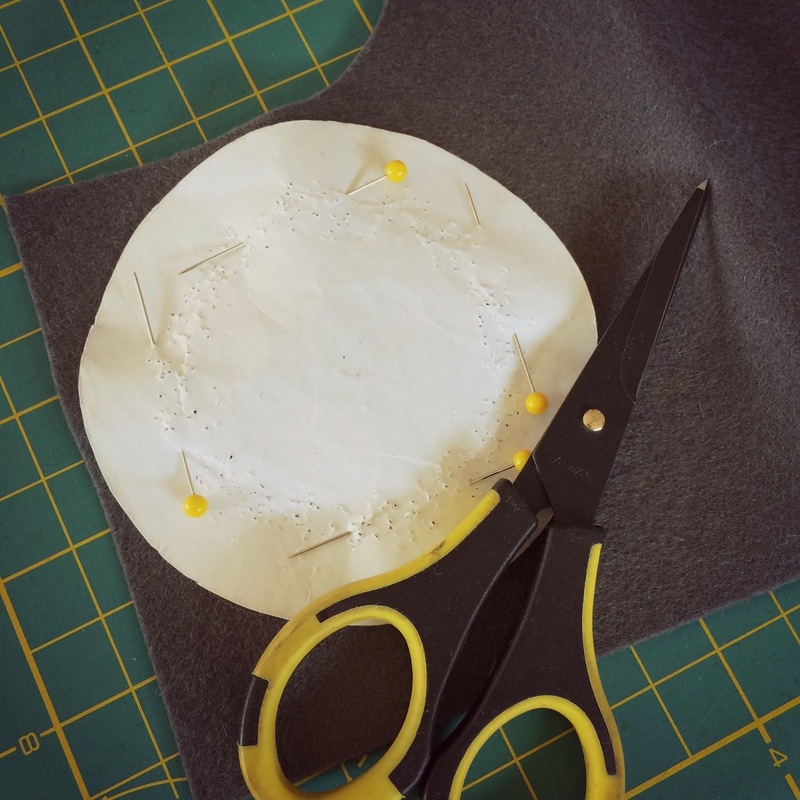 I finished off the Dr.Who pincushions and needle books, which I realize I haven't photographed, and I started on a couple of cloud pincushions. I decided to start watching Downton Abbey from the very beginning while I sew. I had forgotten that Bates came to the House in that very first episode and also how truly unpleasant Mary was in the beginning! 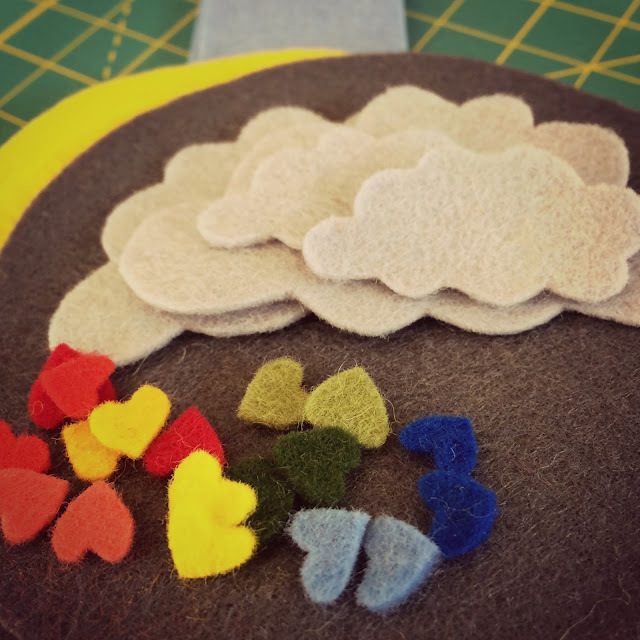 These cloud pincushions are pretty cheerful, I love the little rainbow hearts and the embroidered word "happy" in rainbow colors. 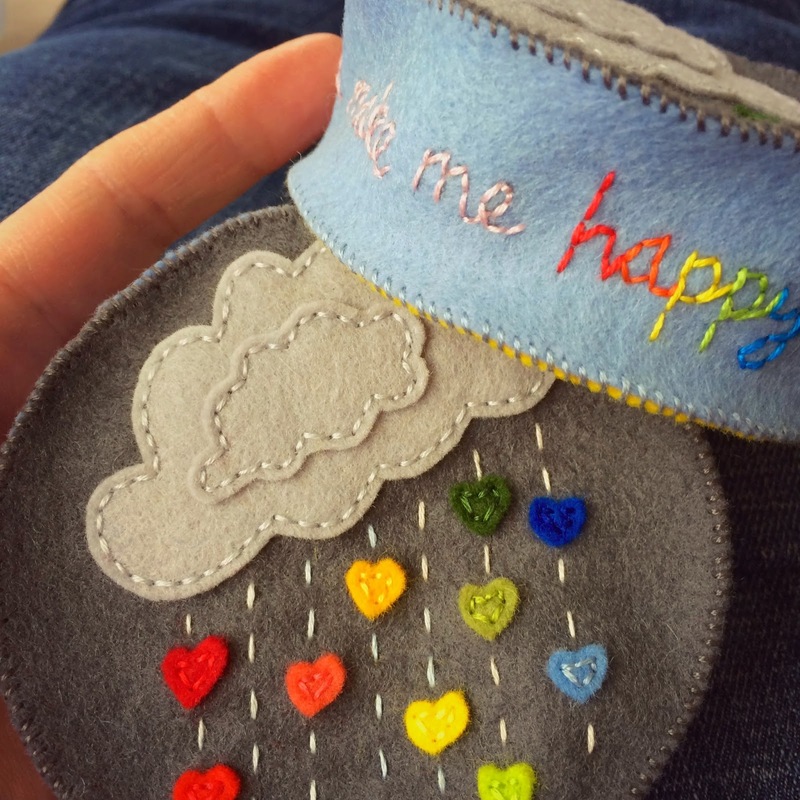 "You make me happy when skies are grey" describes how I feel about sewing and embroidery and it is hard to feel sad when sewing something sweet like these pincushions.